ConnectedClusters is an alliance of five city regions – Birmingham, Edinburgh, Frankfurt, London and Valencia – committed to accelerating the impact of climate innovation ecosystems. When business, research, communities and government cluster together to deliver low-carbon innovation, it speeds up the emergence of clean, vibrantplaces to live and thrive. This is crucial to curbing dangerous climate change. And it drives local economic benefits. We believe that stimulating these climate innovation clusters should be at the heart of infrastructure delivery, job creation and place-making for governments of all levels. Between now and 2020, Climate-KIC’s ConnectedClusters project will enable this shift towards place-based climate innovation by developing new collaborative approaches to technology, procurement, investment and training. The University of Birmingham is a founding partner of the Energy Capital cluster, the smart energy innovation partnership for the West Midlands. The partnership combines world-leading academic expertise with ambitious local authorities, diverse businesses, innovators and entrepreneurs to encourage clean energy investment and innovation and trial solutions in the real world. 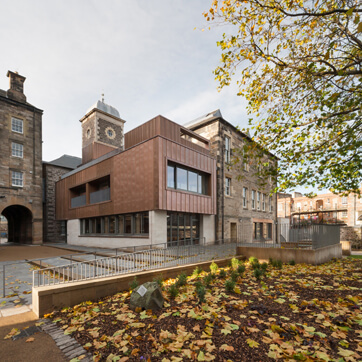 The Edinburgh Centre for Carbon Innovation (ECCI) is the leading low carbon hub for Scotland and beyond. It’s at the heart of a climate innovation cluster that has enabled 40% national emissions reductions to date. ECCI is working with public and private sector partners to focus data and city investment on delivering a smart, thriving future. Provadis Business School offers courses focussed on technology-based services and finding solutions to high-tech industry challenges. It is located adjacent to Höchst Industrial Park, home to a wide variety of pharmaceutical and chemical industry companies. It will focus on circular economy solutions to reduce carbon and resource usage from industry. The Greater London Authority is working to matchmake and broker new relationships across a burgeoning but geographically diffuse range of low carbon businesses across the city. The Mayor has identified cleantech as a key future growth sector and is working to support businesses, attract investment and accelerate the roll-out of sustainable solutions across Greater London. AVAESEN is a non-profit association of energy-related companies. Its Director-General, Bianca Dragomir, was recently named European Cluster Manager of the Year. She has transformed AVAESEN from a small renewable energy cluster into a much broader city region innovation cluster and think tank. It links public authorities with businesses and other stakeholders and decision-makers to drive change. We’re mapping our city region clusters to help reveal the challenges and opportunities ConnectedClusters can build on to increase impact across our own city regions and beyond. We’ll develop a comprehensive training programme to support city region clusters. It will help them become more effective at accessing capital, working collaboratively across sectors and providing leadership for systemic change. We’ll host a series of networking and industry matchmaking events to link supply and demand-side organisations. Our clusters will collaborate and share good practice to accelerate delivery of low carbon solutions. We’ll deliver in-depth studies on shared challenges and opportunities that city regions face in delivering climate solutions. This will enable clusters to plan and collaborate more effectively across the public and private sectors. We’re taking ConnectedClusters to key city, cluster and sustainability-focused events to share project opportunities and insights. Come and meet us! 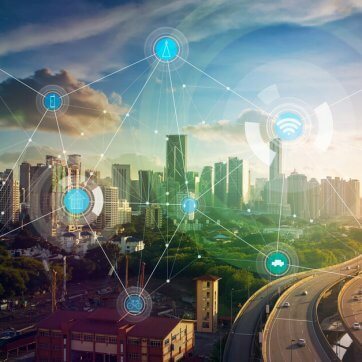 ConnectedClusters is a collaboration between EIT Climate-KIC partners in Edinburgh, London, Birmingham, Frankfurt and Valencia. Queen Elizabeth Olympic Park drew on the expertise of EIT Climate-KIC and its partners to develop a Smart Sustainable District. Cities are increasingly feeling the effects of air pollution and climate change. EIT Climate-KIC supports pollution-sucking ‘smart’ trees to bring clean air to London and Brussels. Contact us to get involved	Get in touch to see how our forthcoming programme of training, insights and events could support your work.